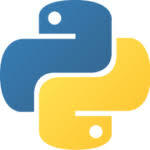 Python is a powerful high-level, object-oriented programming language created by Guido van Rossum. Python is a general-purpose language. It has wide range of applications from Web development (like: Django and Bottle), scientific and mathematical computing (Orange, SymPy, NumPy) to desktop graphical user Interfaces (Pygame, Panda3D). The syntax of the language is clean and length of the code is relatively short. It’s fun to work in Python because it allows you to think about the problem rather than focusing on the syntax. Even if you have never programmed before, you can easily guess that this program adds two numbers and prints it. Not overly strictYou don’t need to define the type of a variable in Python. Also, it’s not necessary to add semicolon at the end of the statement.Python enforces you to follow good practices (like proper indentation). These small things can make learning much easier for beginners. Expressiveness of the languagePython allows you to write programs having greater functionality with fewer lines of code. Here’s a link to the source code of Tic-tac-toe game with a graphical interface and a smart computer opponent in less than 500 lines of code. This is just an example. You will be amazed how much you can do with Python once you learn the basics.